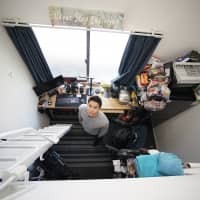 FUKUSHIMA - On a cold day in February, Takuto Okamoto guided his first tour group to a panorama few outsiders have witnessed in person: construction cranes looming over Tokyo Electric Power Company Holdings Inc.’s Fukushima No. 1 nuclear plant. Seven years after deadly tsunami ripped through the plant in Fukushima Prefecture, and as residents who fled the nuclear catastrophe trickle back, Okamoto and other tour organizers are bringing curious sightseers to the region. Many returnees hope tourism will help resuscitate their towns and ease radiation fears. But some worry about drawing a line under a disaster whose impact will be felt far into the future. The cleanup, including the removal of melted uranium fuel, may take four decades and cost several billion dollars each year. 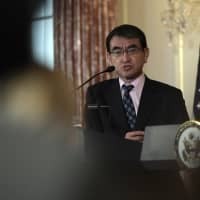 “The disaster happened and the issue now is how people rebuild their lives,” Okamoto said after his group stopped in Tomioka, 10 kilometers (6.21 miles) south of the nuclear plant. He currently runs tours just twice a month, but he wants to bring groups twice a week. As Okamoto’s passengers peered out tour bus windows at the cranes poking above the nuclear plant, electronic signs on the highway to Tomioka showed radiation at around 100 times normal background levels. “For me it’s more for bragging rights, to be perfectly honest,” said Louie Ching, 33, a Filipino programmer. Ching, two other Filipinos and a Japanese man who visited Chernobyl last year each paid ¥23,000 ($208.75) for a day trip from Tokyo. 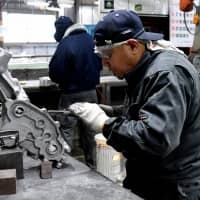 The group had earlier wandered around Namie, a town 4 kilometers north of the plant to which residents began returning last year after authorities lifted restrictions. So far, only about 700 of 21,000 people have returned — a ratio similar to that of other ghost towns near the nuclear site. Former residents Mitsuru Watanabe, 80, and his wife Rumeko, 79, have no plans to come home. They were only in town to clear out their shuttered restaurant before it is demolished, but they chatted with tourists while they worked. “We used to pull in around ¥100 million a year,” Mitsuru said as he invited the tourists inside. A 2011 calendar hung on the wall, and unfilled orders from the evacuation day remained on a whiteboard in the kitchen. “We want people to come. They can go home and tell other people about us,” Mitsuru said among the dusty tables. Okamoto’s group later visited the nearby coastline, where the tsunami killed hundreds of people. Abandoned rice paddies, a few derelict houses that withstood the waves and the gutted Ukedo Elementary School are all that remain. 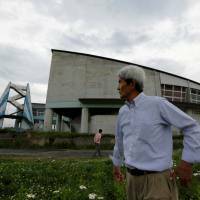 It’s here, behind a new sea wall at the edge of the restricted radiation zone, that Fukushima Prefecture plans to build a memorial park and 5,200-square-meter (56,000-square-foot) archive center, complete with video displays and exhibits about the quake, tsunami and nuclear calamity. 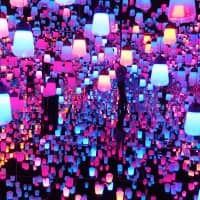 “It will be a starting point for visitors,” Kazuhiro Ono, the prefecture’s deputy director for tourism, said of the center. The Japan Tourism Agency will fund the project, Ono added. 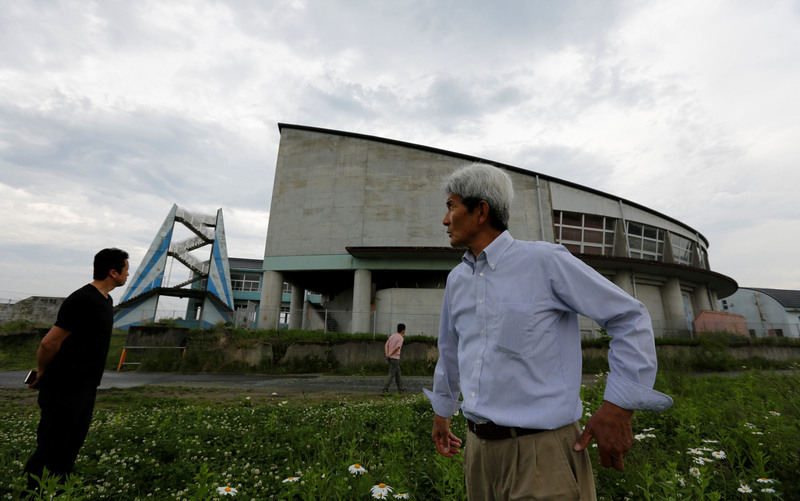 Ono wants tourists to come to Fukushima — particularly foreigners, who have so far steered clear. Overseas visitors spent more than 70 million days in Japan last year, triple the number in 2011. About 94,000 of those were in Fukushima. 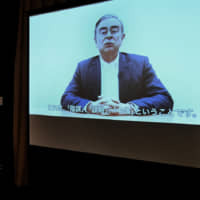 Tepco will provide material for the archive, although the final budget for the project has yet to be finalized, he said. “Some people have suggested a barbecue area or a promenade,” said Hidezo Sato, a former seed merchant in Namie who leads a residents’ group. A “1” sticker on the radiation meter around his neck identified him as being the first to return to the town. 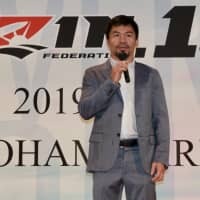 “If people come to brag about getting close to the plant, that can’t be helped, but at least they’ll come,” Sato said. The archive will help ease radiation fears, he added. Standing outside a farmhouse as workmen continued its refurbishment, so her family could return, Mayumi Matsumoto, 54, said she was uneasy about the park and archive. “We haven’t gotten to the bottom of what happened at the plant, and now is not the time,” she said. Matsumoto had come back for a day to host a rice-planting event for about 40 university students. Later they toured Namie on two buses, including a stop at scaffolding near the planned memorial park site to view the cranes at the nuclear plant. Matsumoto described her feelings toward Tepco as “complicated,” because it is responsible for the disaster but also helped her family cope its aftermath. One of her sons works for the utility and has faced abuse from angry locals, she added. “It’s good that people want to come to Namie, but not if they just want to get close to the nuclear plant. 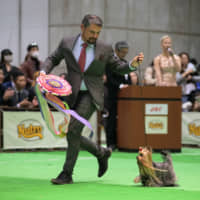 I don’t want it to become a spectacle,” Matsumoto said. Okamoto is not the only guide offering tours in the area, although visits of any kind remain rare. He said he hoped his clients would come away with more than a few photographs.